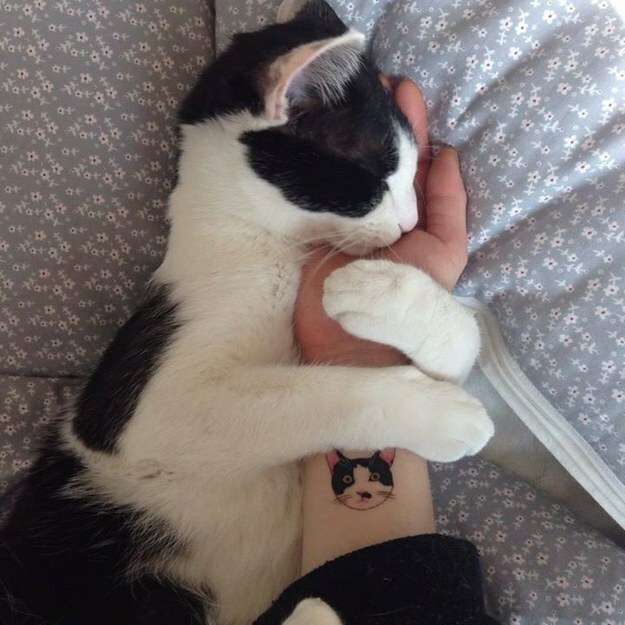 Step 1: Get a tattoo of your cat’s adorable likeness somewhere on your body. Step 2: Present artwork to cat to see if he approves. Step 3: Prove how exactly you’ve captured his soul via ink in a side-by-side. Step 4: Finally, accept eternal affection, in the form of nuzzles.